A puzzling piece for footage from Sweden features a mysterious humming sound that was said to have reverberated through the air for an astounding 45 minutes. The eerie scene was filmed back in December. According to the witness, he noticed the odd sound while in northern Sweden at what looks to be a snow-covered mountaintop. He says that the humming noise was constant and seemed to almost vibrate the air. Although he expressed certainty that the hum was coming from the sky, the witness conceded that he couldn’t quite determine from which direction it was emanating as it appeared to be coming from every direction. 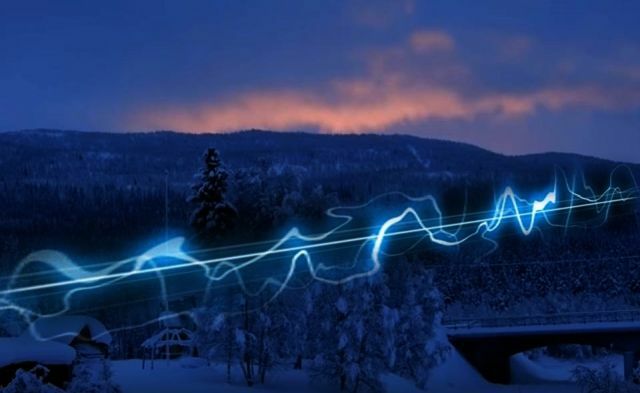 The sound heard by the witness in Sweden may be connected to the larger mystery hum phenomenon which has been reported in various parts of the world in recent years. According to coasttocoastam, theories for what may be causing these sounds range from the conspiratorial, such as clandestine military weaponry, air displacement caused by slow-moving huge UFOs to prosaic possibilities involving natural events surrounding the magnetic field of the Earth.